HRH The Princess Royal has graciously accepted an invitation to become an Honorary Member of the Cruising Association (CA), joining an elite group that includes sailing legend Sir Robin Knox-Johnston and the prolific nautical author, Rod Heikell. 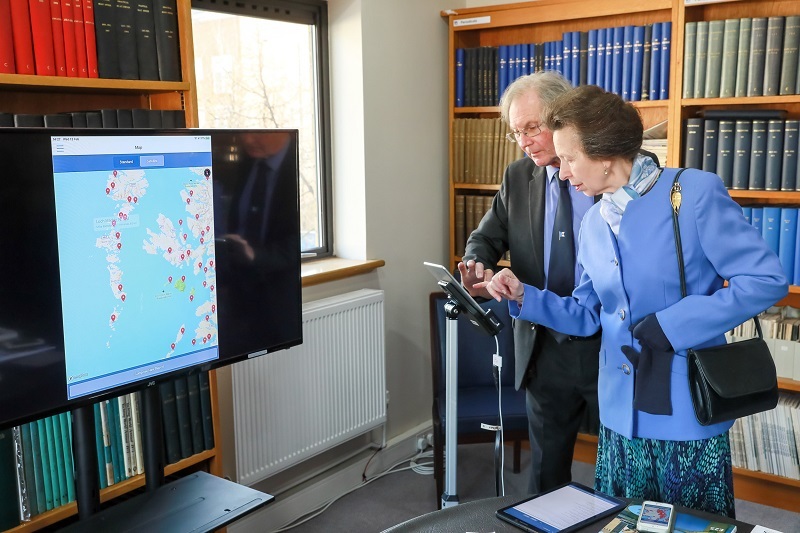 As an Honorary Member, The Princess Royal receives all the benefits of CA membership including access to the unique CAptain’s Mate, the Association’s cruising APP that provides access to thousands of online and first-hand cruising reports and practical information with pinpoint accuracy. Her Royal Highness showed great interest in the App when she recently visited CA House in London’s Limehouse Basin in celebration of the CA’s 110th anniversary. Speaking on behalf of the Cruising Association Council, President Julian Dussek commented on how delighted the CA is to welcome The Princess Royal to the CA. "We sincerely hope that Her Royal Highness finds the benefits of her membership add to her personal sailing experiences."